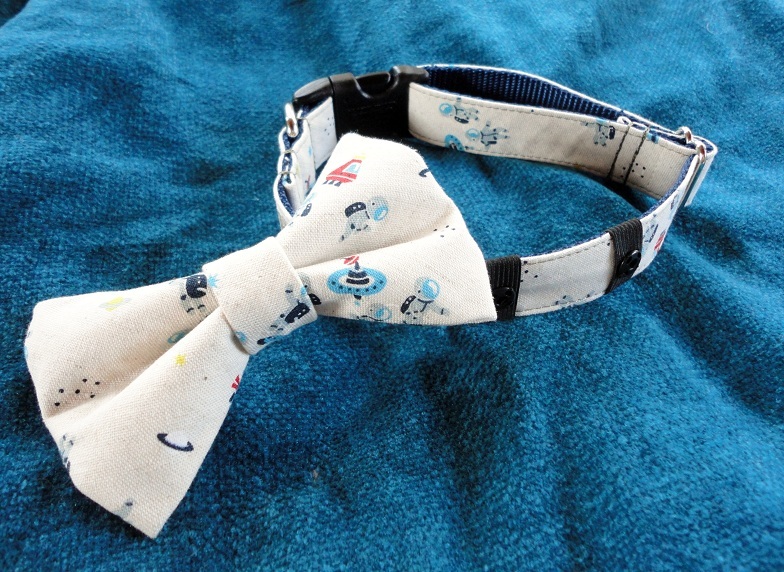 Our Silly Buddy bow tie collar! After the post about Silly Buddy a few weeks ago, my friend/co-worker suggested that I ask the Silly Buddy folks to make a custom bow tie collar in, what else? The astronaut print! 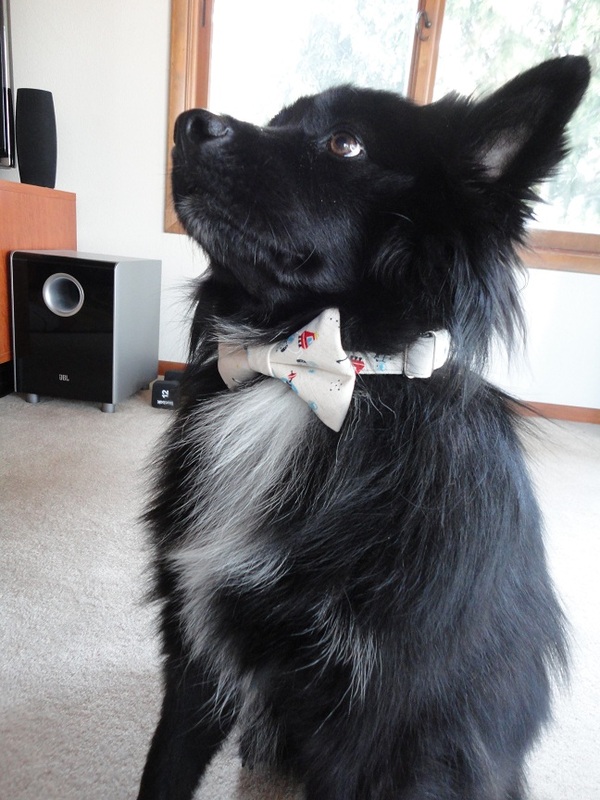 Why did Teton need a custom bow tie? For my upcoming wedding, of course! That’s right, folks. The Little Blogger’s dad and I are gettin’ hitched! We’re having our wedding outdoors so Teton will definitely be amongst the crowd. 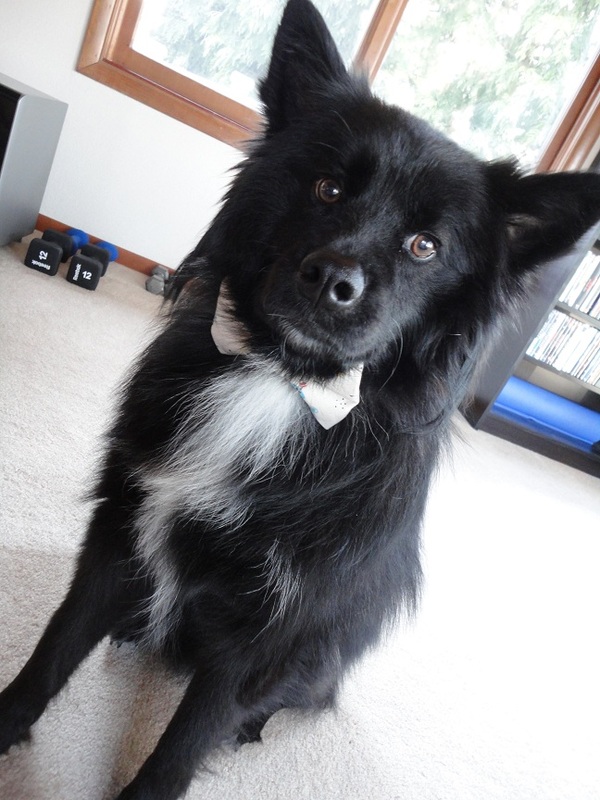 I think he’ll look quite dapper in his new bow tie, don’t you? BIG thanks to Hande at Silly Buddy for creating this custom bow tie collar that I’ll be talking about for many years to come! We’ll be taking a short hiatus from the blog for the wedding and the minimoon. That’s honeymoon for short for those of you that aren’t familiar with the term. Come back and see us near the end of next week for a full review of Teton’s bow tie collar and a bunch of other fun photos. Posted on May 3, 2011 May 14, 2011 by Shannon	This entry was posted in Closet. Bookmark the permalink. Congrats on your upcoming wedding – how exciting! 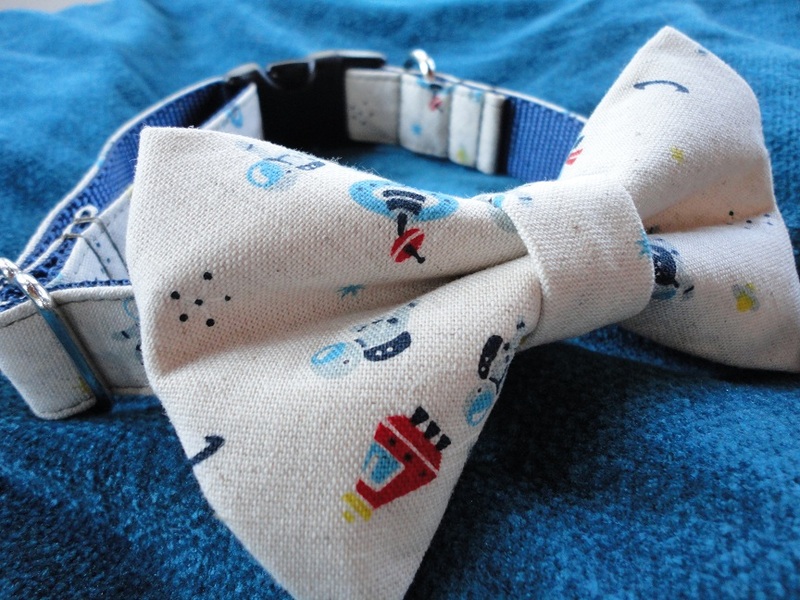 Teton will look smashing in his new bow tie! Shannon you are so fun to work with! I am glad we found each other – Teton looks so handsome. I think he’ll be stealing the thunder for sure 🙂 Can’t wait for the new photos – Have fun at the wedding and at your minimoon, congrats!